More and more patients are asking about the action of proton therapy in the treatment of cancer. On the Internet a lot of information on this issue and it is all positive. Which types of tumors suitable proton therapy? Radiation therapy (radiotherapy ) is used to treat both malignant and benign tumors of many .The main goal of radiation therapy is to take a high dose of radiation to the tumor so that the treatment effect was maximized and the injury - the minimum. Proton therapy is used to treat cancer patients with 50s . However, prolonged treatment time performed in research centers, rather than specialized clinics, and the number of patients, as well as varieties of tumors has been very limited. The first proton therapy center in western Europe has been around since 1984 at the Paul Scherrer Institute (PSI) in Villigen (Switzerland) . Until the end of 2012 about 6,000 patients with tumors of the eye received proton therapy. 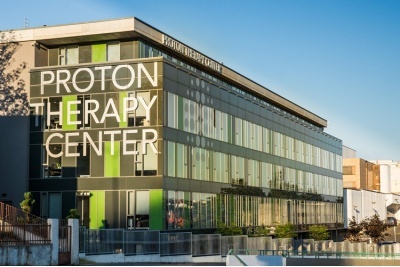 In Germany, the first center for proton therapy: a proton therapy center Rinekera (RPTC / TSPTR ) was founded in Munich, at the initiative of Munich surgeon MD Hansa Rinecker. C 2009, the center is ready to take four thousand patients a year.The center is equipped with four gantry (gantry - rotary irradiation system lying patient ) to irradiate deep-seated tumors that have the most modern , so-called Spot-Scanning- system. The second center was opened in the University Hospital of Heidelberg in 2009, " the center of Heidelberg Ion-Beam Therapy" Here as the irradiation with carbon ions and protons.The third center Proton Therapy Center of West Germany (WPE) opened in 2010 in the city of Essen . First Proton Therapy Center , based on the model of public-private partnership. The first admission of patients was initiated in May 2013, for proton therapy . Treatment of cancer eye using proton therapy successfully carried out in the center of the Helmholtz Association in Berlin. Treatment is carried out in conjunction with the clinic Charité Berlin . It is no secret that the treatment in Germany is expensive and not all , unfortunately, can not afford it , plus the cost of an interpreter, accommodation, transfers and so on. Alternative for these patients is Cancer Proton Therapy Center in Prague , by the way , the only one in the world that possesses the most modern technology in the world of the proton , which uses the so-called system scan pencil . Centre accepts patients with all diagnoses of cancer and working with first medical faculty of Charles University, Faculty of Nuclear Physics, CTU in Prague and other higher education institutions . Indications for proton therapy varied, but unfortunately not all species and localization of tumors may be treated by this method. Below is a list of indications, it is not great, but every year it expands . Our company will help you to choose the best option for you. Your business - treated, our business - to take care of you!